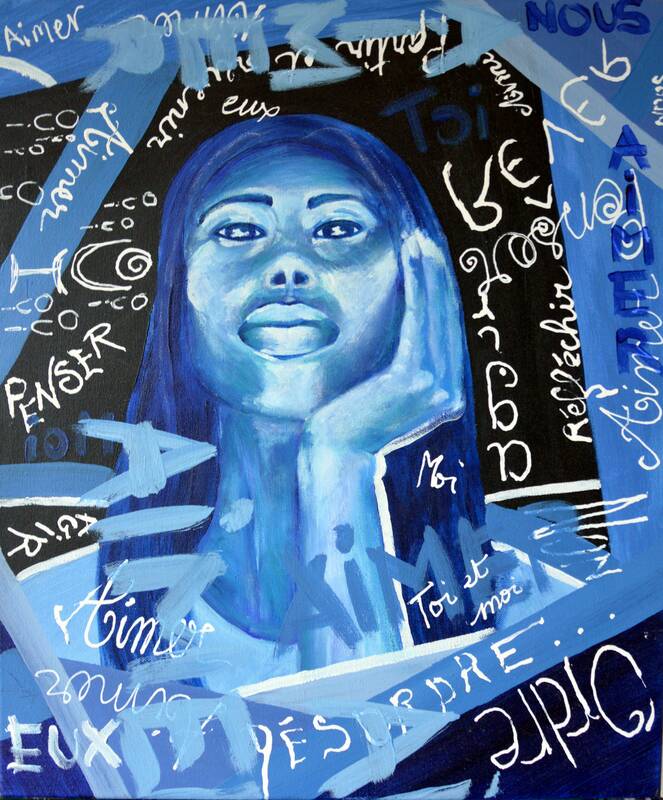 Original painting done in acrylic on canvas depicting a woman in the middle of her thoughts. Cotton canvas size 59cm x 49cm. The painting is sent well protected. Unique artwork.